Most Parkes books are available for Long Loan or One Week Loan. Membership of the Friends of the Parkes Library includes an External Borrower's Card. 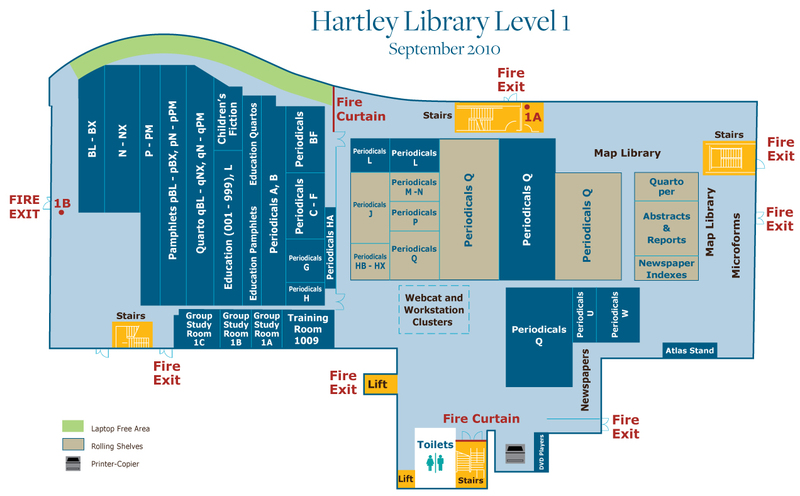 The nearest photocopiers are behind the main stairs on Level 4 and the charges are 5p per A4 sheet and 10p for A3. Bound volumes in the rare books area cannot be photocopied, but you can request photographic or microfilm copies, subject to the age and condition of the item. The Parkes Library has on loan a set of twenty copies of videos from the Fortunoff Video Archive for Holocaust Testimonies. You can see an abstract of the contents of each video if you link to the full catalogue record from the list of titles. To make an appointment to use the videos contact the Search Room on 023 8059 2721 or email archives@soton.ac.uk. You will need to bring I.D. for access to the Search Room. 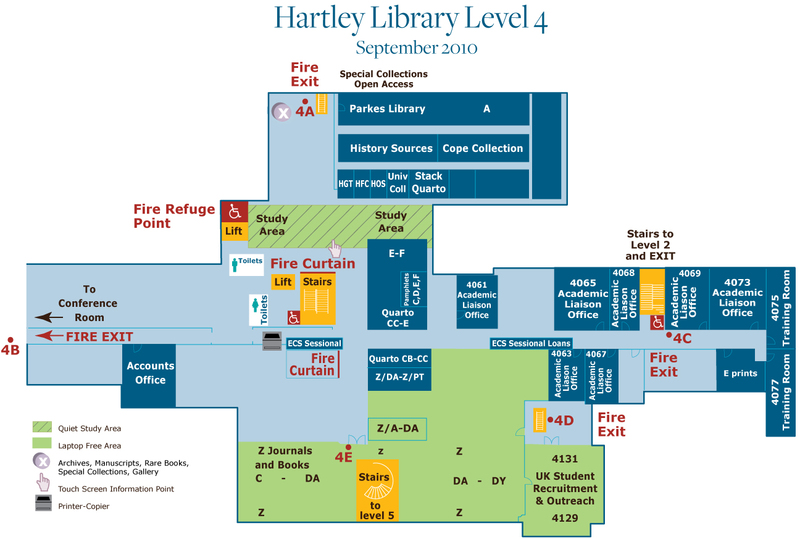 The Parkes Library is part of Special Collections on level 4 of the Hartley Library on the Highfield Campus. It is open to all to use. Books printed after 1850 (call number Parkes) are generally shelved in the Special Collections open access area and can be used whenever the Hartley Library is open. Older books (call number Rare Books Parkes) are fetched for use in the Archives Search Room, which is open Monday to Friday 09.30-17.00. Appointments are not required, but it can save you time if you order items in advance. Contact archives@soton.ac.uk or phone: 023 80592721 to order material. Books which are in high demand are often moved to the Avenue Course Collection. WebCat includes records for all Parkes books and journals. To find a specific book, use the keywords option in Quick Search and enter the author's family name and a few words from the title. You can also use keywords to find books by subject. On the Advanced Searches screen you can limit searches by date, language and collection. DelphiS enables you to search across WebCat and the Library's electronic databases and is especially useful for subject searches. You will need a University login for access. Larger books (quartos) are shelved separately at the end of the main sequence. Parkes journals are shelved in alphabetical order of title at the end of the book sequence. Journals with the call number Rare Books Parkes per are fetched for use in the Archives Search Room. See the E-Journals tab above for a list of titles online. Due to licence restrictions, only members of the University have full access to electronic services other than the Library's computer catalogue (WebCat). However, we can offer limited provision to some e-resources to walk-in users. Please email libenqs@soton.ac.uk in the first instance. These are kept in the Microform Services Area on level 1. They are arranged by number e.g. 40001765. You can read, copy or scan microfilm and microfiche using the reader-printers. A University login is required for scanning. See the Microforms tab above for a list of all Parkes Microforms. Refugee Voices is an electronic collection of 150 filmed interviews with Jewish refugees and Holocaust survivors who made their home in Great Britain. To make an appointment to use the collection contact the Search Room on 023 8059 2721 or email archives@soton.ac.uk. You will need to bring I.D.for access to the Search Room.